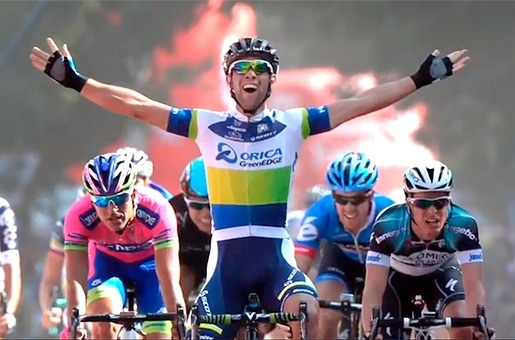 AUSTRALIAN Michael Matthews took the win in the fifth stage of the Tour of Spain. The 22-year-old crossed the line in four hours 28 minutes 22 seconds. Argentinian Maximiliano Richeze and Gianni Meersman of Belgium were second and third. They finished on the same time after cycling from Sober to Lago de Sanabria. Overall there was no change as Italian Vincenzo Nibali kept the yellow jersey and his three second advantage over American Chris Horner, with Irishman Nicolas Roche eight seconds back. Today (Thursday) the riders are tackling the 177 kilometres from Guijuelo (Castilla-Leon) to Cáceres (Extremadura). All eyes will be on the leaderboard, with Horner aiming to climb back into top spot.